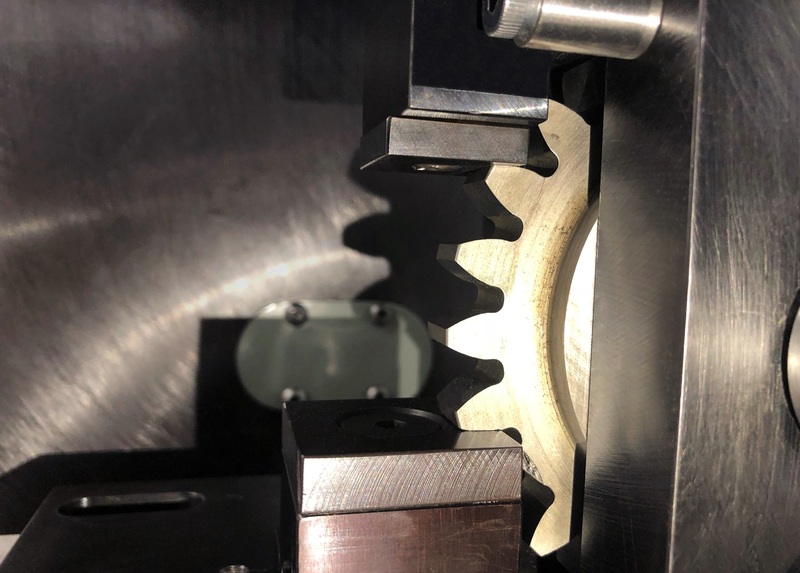 Symbrium now provides material testing services on gears of all sizes ranging from fine pitch metal and plastic gearing to high power density gears made from alloy steels. Services range from running standard material testing protocols to designing and executing tests requiring highly specialized dynamic measurements with advanced data acquisition and digital signal processing capabilities. Symbrium can create ad hoc test setups using on-hand dynamometers, gearboxes, and specialized driveline elements such as inertial flywheels, and high speed shafting and couplings to execute temporary or long running functionality, durability or performance testing on powertrain systems. Symbrium can supply precision test articles such as gears, rotors, sprockets, sheaves, and rollers as well as design and produce complex test fixtures and reaction gearboxes using in-house CNC equipment to accommodate almost any transmission or geared system testing protocol. Full dimensional and metallurgical analysis services are available to support failure analysis. Symbrium has an extensive background in powertrain testing technology, test machine design and build, test data analysis and test program execution. Whether your company lacks the capital resources to invest in specialized test equipment, does not have the technical resources to perform certain types of testing in-house or simply does not have the capacity to complete a test program per schedule demands, you can trust Symbrium to provide full service program management and test execution delivering timely and reliable data for product development or product assessment.